They have been despised, rejected and persecuted for centuries. But today these nomadic people are finding Christ and taking the gospel to nations. She was a mother in every fiber of her being, and she refused to bow to despair, even as the doctor informed her that her son Zino's tuberculosis could no longer be treated. His intestines were perforated, surgery had failed, and the young man had only a few days to live. "You have five more children who are all healthy; care for them and be comforted. This one is lost," the physician frankly concluded. But Azi Duville was a mother, and her heart clung to hope beyond reason. Leaving the hospital to buy some food, she reached into her purse for money and found a folded flier. In a flash she remembered the man at the marketplace. She had asked him what he was offering, and he had told her that Jesus was alive and still healing the sick. He had also given her a flier with a church address. Looking at it now, lining up for the cashier, she realized the church was very close, actually just opposite the shop. And it was Sunday morning. "I crossed over," Duville recalls, "and there were Christians singing both in French and some other tongue I did not recognize. I thought it was English." Weeping, she lingered by the door. After the service the pastor approached her, asking why she was crying. She told him about her son. "Do not cry," the pastor said. "God is going to give Zino back to you." The pastor went to the hospital and laid hands on Zino, whose temperature had risen above 104. The fever left--and on the next day, the young man got up healed. This one miracle in 1950 was the humble beginning of the biggest revival by far in post-war western Europe: God's move among the Gypsies. The work continues today, though most Christians have never heard about it. The organization that was born out of Duville's unquenchable love--Life & Light, a branch of the Assemblies of God--today numbers 130,000 Gypsy believers in France alone--a third of the country's total Gypsy population. In no other European nation or ethnic group does the church even come close to such proportions. Life & Light has planted 210 Gypsy churches in France and trained more than 1,300 pastors. It has sent out missionaries to 40 countries and founded Bible schools in three. In Spain, the first major mission field of Life & Light, there are now 500 Gypsy churches with some 2,000 pastors, and 90,000 out of 600,000 Gypsies are baptized believers, according to the typically conservative estimates given by Life & Light itself. Spanish "Gitano," or Gypsy, pastors say there are about 1 million Spanish Gypsies, and the number of them who are believers is estimated to be between 100,000 and 500,000. Life & Light claims that 8 percent of Gypsies in England, or 25,000 out of 300,000, are born again and 10 percent in Finland, or 1,000 out of 10,000. Finnish Gypsy representatives report 25 percent evangelical believers. For both cultural and political reasons, statistics on the Gypsies are never accurate. Estimates given for the number of born-again Gypsies in Europe range from 500,000 to 1 million. The number of Gypsies in Europe is estimated to be between 11 million and 38 million. Either way, much has been achieved spiritually. The Gypsy revival in France, Spain and some other countries is unparalleled among modern-day European peoples. One current hot spot is the town of Leskovac in southern Serbia. The Gypsy branch of the Leskovac Pentecostal Church is growing explosively. In spite of multiple Sunday services, the church building cannot absorb the crowd. When Charisma visited the church, 350-400 people were standing through each service, with barely enough room to raise their arms. By comparison, the services for ethnic Serbs in the Leskovac Pentecostal Church number between 70 and 100 participants. The praise was loud, intense and without pause. While the lyrics in both Serbian and Romany, the Gypsy language, spoke of Jesus' triumphant victory, the melodies were played in minor keys and had the well-known sentimental flair of most Gypsy music. After the sermon, a number of elderly ladies with faces bearing witness to poverty and suffering pushed their way to the front to receive prayer, refusing to leave without a touch from God. Five minutes after the closing song the place was emptied and, within minutes, filled sardine-fashion for the next service. The hunger for more of God engulfs both the old and the young among the Gypsy people. Many of the most eager God chasers in Leskovac are children, and Gypsy pastor Selim Alijevic used to hold special children's meetings to make room for adults at the ordinary services. Earlier this year, Life & Light sponsored a big tent, seating 1,000, to be used for Leskovac revival meetings. Annually each April, 20,000-25,000 French Gypsy Christians traveling in 4,000-5,000 trailers gather in Gien, a two-hour drive south of Paris, for a week of praise, teaching and fellowship. This year the rain turned the ground into a giant mud pool, but the French Gypsies are the last in Europe to be truly migrant, and a blast of bad weather does not turn them off. If not for its vast population, the Gypsy camp in Gien could have passed for a modern campground anywhere in the world, with a good number of the trailers belonging to the deluxe-category, and none being the caravans of the old-time Gypsy type. The meetings in the giant tent were remarkably quiet compared with most charismatic gatherings. With the exception of tears following a call to repentance, emotions were not displayed. The songs, accompanied by Gypsy guitarists excelling in jazz harmonies, were generally of the old-fashioned Pentecostal "clap your hands and stomp your feet" kind, but rarely caused this crowd to clap its hands, and never to stomp its feet. This was a big contrast from the Gypsy church services Charisma attended in Serbia and Spain, where emotions ran high. Still, the French Gypsies say their reason for founding churches of their own instead of joining the existing Pentecostal congregations was, and is, cultural. Jimmy Meier, president of Life & Light, points out that the Gypsies have been "much more vivid in expression" than the French, and the sudden influx of thousands of them was more than the French Pentecostal churches could handle. Meier remembers, for example, the outcry caused by the Gypsy habit of breast-feeding babies in church, and that "the French were not used to our making a campfire and improvising a church meeting around it." In the early days of revival, Gypsy preachers solved problems of their own in a not-very-Pentecostal fashion. Most of them were illiterate and, consequently, could not read the Scriptures to their congregations. One preacher, Meier remembers, engaged a non-Gypsy to read at the meetings. The hired lector was an unbeliever and a drunkard, and was paid with one bottle of red wine per reading. "We were so hungry for the Word," Meier recalls, "that we did whatever we had to." The new Gypsy Christians soon realized their need for education, and in the mid-1960s the first Life & Light Bible school started--19 students studying by candlelight in a caravan. Today the French Bible school has its own building and trains about 200 pastors a year. Life & Light also runs Bible schools in Hungary and India. Meier is proud of the inward growth of the movement, the "deepening knowledge" among Gypsy church leaders. "We have students learning other languages in preparation for mission work, and others who study biblical Hebrew and Greek." Meier says that the Gypsy revival is "100 percent Assemblies of God in doctrine." Answering the critics who claim that there is too much emotionalism and too little repentance among the Christian Gypsies, Meier asserts that "biblical truth causes the Gypsy converts to change their lives completely. There is no more fighting, stealing and drinking." "We do not accept sinning," he explains. "But we try to approach people with grace, not judging them prematurely. There have been many 'baptized sinners' among us who later on were truly converted. "But our love for nature, music and a life on the move does not change. [After conversion] we keep sitting by the campfire and go fishing. We pray to keep our culture." The struggle to retain their culture is a battle Gypsy people have fought for decades. Even today in a Europe officially sworn to ethnic and cultural plurality and the political rights of minorities, the Gypsy culture is actively suppressed and, in consequence, seriously threatened. "Our way of life is a misfit because all laws were made by residents for residents," says May Bittel, a Swiss Gypsy who is an accredited Council of Europe expert for Gypsy issues. In all countries but France, Gypsies have already given up all-year traveling, the most obvious reason being that their trailers are not welcome anywhere. "The modern world invests millions in protected biotopes for butterflies, but makes no room for Gypsies," Bittel remarks, explaining that Gypsy leaders "favor integration but oppose assimilation." The Gypsy community in general is still "fearful of the residents, because contacts with them have always ended in catastrophe," Bittel says. He recalls the historical policy of taking Gypsy children away from their families to "re-educate" them. It was introduced some 300 years ago by the Austrian Empress Maria Theresia, then the supreme ruler over most of Europe, and adopted by Switzerland from 1926 to 1973. During these five decades, Bittel reports, 2,500 Swiss Gypsy children were taken into custody and placed in prisons and other institutions. Hitler's hate for the Gypsies, called anti-tziganism, may not have matched his hate for the Jews, or anti-Semitism, but there was a "Gypsy holocaust" of tragic proportions, though it is rarely mentioned. Between 200,000 and 600,000 Gypsies (estimates vary) were killed by the Nazis, most of them gassed to death in the Auschwitz concentration camp. René Zanellato, a French non-Gypsy who came to Christ through a Gypsy preacher in 1963, joined the travelers, married a Gypsy woman and became a leader in the Life & Light international missions. He is presently producing a documentary for French television on the Gypsy holocaust. "Dealing with the past is key to improving the future," Zanellato says, pointing out that anti-tziganism is again on the rise across Europe, particularly in the eastern, former communist countries where the failing economies increase social tensions. In recent years Gypsy villages in Romania have been burned, and a Slovak mayor ordered the building of a wall through his village to create a literal Gypsy ghetto. The wall was pulled down, but "not in the hearts of the villagers," Zanellato comments. He claims that in many places in eastern Europe skinheads keep raiding Gypsy settlements, without intervention by the police, and are never prosecuted. Ignored by the Western world that intervened by military force to re-establish human rights in the region, 150,000 Kosovo Gypsies have been forced to leave their homes during the Serb-Kosovar war, according to the Life & Light leader. "The Kosovo Gypsies had lived in the province for hundreds of years and were assimilated," Zanellato explains. "They do not even speak their Gypsy language, which is unusual. But when the war broke out, they were forced by the Serbs to burn Kosovar houses, and by the Kosovars to burn Serbian houses, and in consequence were driven away by the 'other side,' respectively. Now nobody wants them, and they fret in refugee camps under unspeakable hygienic conditions." Gypsy church leaders expect the revival to change the political and social status of the Gypsy people. "Traditionally we have been many, but divided, and now God is uniting us as a people with the common goal of serving Him," Bittel reasons. "Also, the authorities cannot but acknowledge that the Christian Gypsies do not fit the stereotype of Gypsies being fighters, thieves and drunkards. The more Christian Gypsies, the stronger our position in our political battle for recognition as a nation in our own right." The example of Finland supports Bittel's claim. Today there are Gypsy politicians in a number of Finnish city councils; the Romany language that some 30 years ago was only spoken by the elderly is now taught at school; and the Finnish radio broadcasts news in Romany. "In today's Finland the Gypsies are esteemed citizens," Urpo Vuolasranta, a well-known Pentecostal Gypsy evangelist in Helsinki told Charisma. Vuolasranta attributes the "radical improvements in the social and political situation of the Finnish Gypsies" to a "change in the spiritual atmosphere." He explains that "many Gypsies that were touched by the revival in the 1960s and 1970s prayed a lot for the government, and God has answered their prayers." The Finnish Ministry of Health and Social Affairs (FMHSA) commented in a document published in 1999 that the improved situation of the Finnish Gypsies is due largely to "the activities of the national Gypsy organizations." Two out of three national Gypsy organizations are explicitly Christian--one Lutheran, the other Pentecostal. The Gypsy Council of FMHSA, chaired by Vuolasranta's wife, Miranda, stands as a model for the integration of minorities in the European Union. Gypsy politicians officially representing Finland advocate Gypsy rights in the United Nations as well as in European institutions such as the Council of Europe and the Organization for Security and Cooperation in Europe. As in France, the Finnish revival started in the heart of one woman--or rather, as Tuula Åkerlund, a Finnish Gypsy politician and Christian singer points out, with the "paper heart" of one woman. In the early 1960s Hertta and Einar Virjo were getting ready to leave Finland as missionaries when Hertta decided to attend a series of mission meetings in the Pentecostal church. The visiting French Gypsy preacher's message about the situation of the Gypsy people so overwhelmed Hertta that she gave all she had in the offering. "At the next offering," Åkerlund relates, "Hertta had no money left. Spontaneously she tore a sheet from her notebook, cut out a paper heart, wrote 'Hertta's heart' on it and put it into the basket." The gesture changed the course of history for an entire ethnic group. "The Virjos stayed in Finland as missionaries to the Gypsies, and there is not a single Gypsy family in the country that has not been touched by their ministry. My family was visited by Hertta and Einar when I was 12, and as a result all of us gave our lives to Jesus," Åkerlund recalls. Mosé Landauer and Steve Fabulet, French Life & Light missionaries to Italy--where the Pentecostal Gypsy church has grown from a dozen believers in 1987 to 1,200 today--speak with awe about the Lord "who did not even overlook us Gypsies [the way everybody else had]." The two missionaries focus much of their ministry on those caught in the Gypsy drug scene. To them, God's move among their despised and rejected people is a sign of Christ's imminent return. Meier, of Life & Light, also views the Gypsy revival with an end-times perspective. "I believe," he says, "without knowing if it is possible, that the Lord will use Gypsies to spread the revival to other peoples as well. We are certainly not better instruments than others, but being who we are, we know about grace." Tomas and Herti Dixon are Charisma's European correspondents. They live in Sweden. Pentecostal pioneer Clément Le Cossec, who died last summer, became a Gypsy to reach the Gypsies of Europe. Christian Gypsies around the world are mourning the death of the gadje, Romany for non-Gypsy, chosen by God to be their apostle. In July, French Pentecostal pastor Clément Le Cossec, the founder of Life & Light and the undisputed "grand old man" of Gypsy revival, died at age 80. In the late 1940s and early 1950s when Le Cossec realized that God was reaching out to the despised and feared bohemians in his country, and that the Pentecostal churches were failing to welcome these new and different fellow believers, he left his church to begin a special ministry to the Gypsies. Inspired by the apostle Paul's famous words in 1 Corinthians 9:22 about becoming "weak to win the weak," Le Cossec left his residential life early in his ministry to travel with the travelers, thus becoming a Gypsy to the Gypsies. His reputation is almost legendary. "If God made Peter the apostle to the Jews and Paul the apostle to the Gentiles, if He chose Hudson Taylor to be the apostle to the Chinese and Charles Studd to [establish the church among] the African, he undoubtedly appointed pastor Clément Le Cossec apostle to the Gypsies," wrote René Zanellato, leader of international missions with Life & Light, in a eulogy. Le Cossec's son, John, grew up among the Gypsies and remained true to the Gypsy lifestyle even after marrying Nancy, an American Pentecostal. John and Nancy have no home but their trailer. Constantly on the move, they endure "confrontations" with French authorities and the discomfort of rain and mud together with their Gypsy companions. One of their daughters married a Gypsy man, thus completing the family assimilation and identification process with the Gypsy people. John and Nancy are missionaries to the Gypsies with the Assemblies of God. 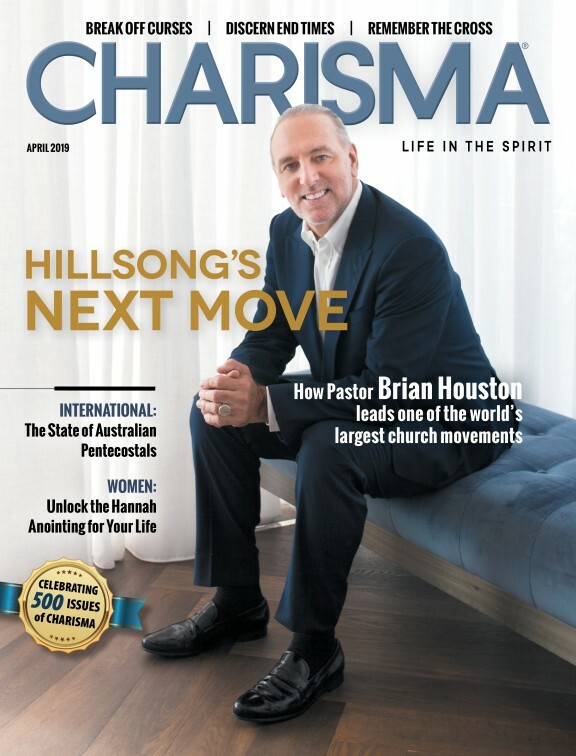 "Our main task today is to establish new works," John told Charisma. "The strategy is always to find the key person within the national Gypsy community. In some countries it takes long, like in England, but then we found the man, and now there is a beautiful work there. The same goes for Turkey." John emphasizes that revival is spread through people, not methods. "Some people are reached through miracles, others through preaching," he says. In coming years the Le Cossecs and Life & Light will focus on formerly communist eastern European countries from Kosovo to Russia, thus carrying the ministry commenced by John's father into the new millennium.